Can anyone tell me whose autograph this is? I got this as a kid and it's definitely a national league player as it's on a national league ball. would have been in the mid-late 90s when I got it signed. I went to a baseball autograph database (http://www.baseball-almanac.com/automenu.shtml); then I wrote a script that would hide all players that didn't play during the time frame in question. (I even granted several years leeway both ways). Then I looked at the autographs of everyone (A-Z, both leagues) who had an I or J in their last name. I may have missed some, because that part I did by visually scanning the page ( there are quite a lot of players from that time frame ). The only player who I thought was even close was Todd Zeile, and he wasn't all that close. If anyone is interested I can post the script here, and you can try what I did. For now however; I am (with much regret) concluding that there is something being overlooked in the OP's memory. Could it have been a Spring Training game (and the signer a minor leaguer who didn't make it to the show in that time period)? Maybe a coach who was a former player; and the OP remembered it that way? Worse - maybe the image is a reverse negative of the autograph of a career minor leaguer who, while acting as a temporary bench coach, liked to pretend that he really was his all time favorite player - none other than the famous Corey Koskie!! My point is that while I may have missed a few, I looked at most Everybody who fit the bill, and I feel safe concluding that whoever signed that ball wasn't a major leaguer in the time frame specified. Not the answer you're looking for? Browse other questions tagged baseball collectibles autograph-identification or ask your own question. 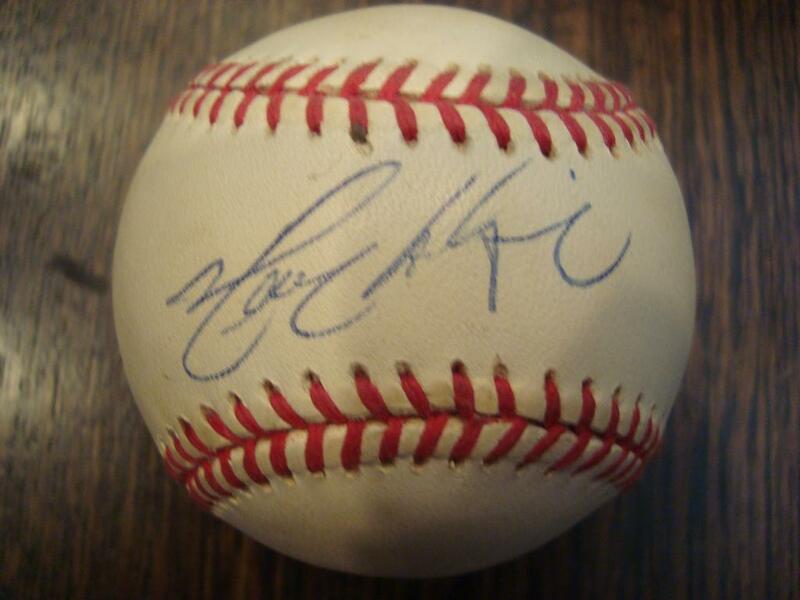 Whose autograph is this on a 2014 Giants baseball? Does anybody know who's signature this is? Who's signature or autograph is this?